Experience the best that casual and fine dining in Niagara-on-the-Lake has to offer when you visit two of Niagara’s Finest Hotels during your next getaway. Whether you're looking for a casual lunch, a sweet treat, or a multi-course evening meal of the highest quality, book a reservation at Zees Grill or HobNob Restaurant and Wine Bar and all of your expectations will be exceeded. Niagara is renowned for its local cuisine and award-winning wines, and Niagara’s Finest Hotels is committed to celebrating this reputation with each and every culinary creation we present to our highly-valued guests. 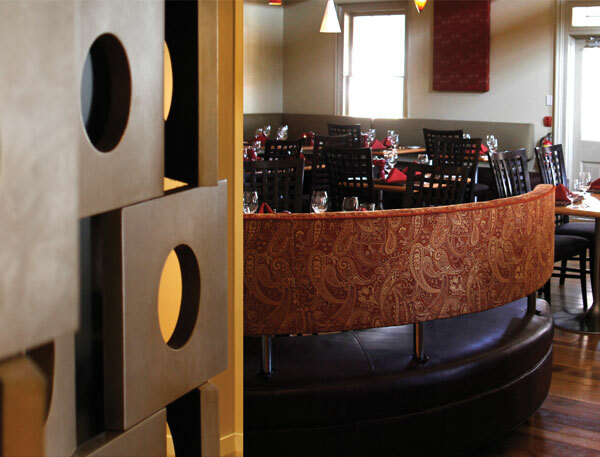 The attention to detail you find at Niagara's Finest Hotels is carried through to our restaurants, so Zees Grill and HobNob Restaurant and Wine Bar are great selections for whichever meal you hope to share with your loved ones during your visit. Each has a distinct aesthetic and culinary flair to suit the occasion and craving. And of course, the service is of the highest quality. Zees Grill offers extraordinarily diverse menu options. Whether you want to visit us for breakfast before a day of sight-seeing in Niagara or you want to indulge in a lavish dinner, you will discover a wide array of comforting, but creative and elevated dishes. Taste your way through a number of dishes that seamlessly combine local vegetables with perfectly cooked meats and bright, well-balanced flavours. The Executive Chef, Matt Tattrie, is an Ontario native who has worked with Niagara’s Finest Hotels for more than 10 years. He loves the challenge of transforming familiar dishes into spectacular works of culinary art, so prepare to be amazed by your favourite meals and the artistic flairs that embolden them. Visit Zees Grill for a crowd-pleasing dining experience – from morning to night. 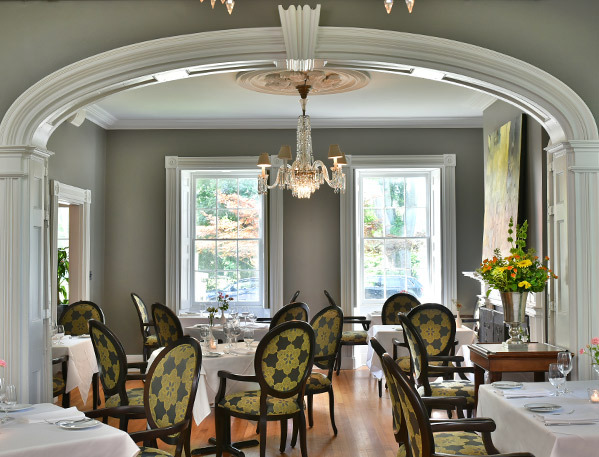 When you join us at HobNob Restaurant and Wine Bar, you will have the opportunity to look out over the Niagara-on-the-Lake Golf Club from the warmth of a meticulously restored 1832 manor as you indulge in remarkable fine dining. This award-winning restaurant boasts an intimate, elegant and accessible atmosphere where you and your loved ones will feel comfortable exploring exceptional menus thoughtfully prepared by people who truly love food. Whether you’re looking forward to a hearty breakfast or you want to sample a wide variety of our Chef’s creations with the Tasting Menu, you will be impressed by unparalleled flavours, exceptional service and surprising combinations of ingredients that eloquently sing the praises of Ontario’s Wine Country.